Help us Lord, in the midst of the confusion of our days. In a badly fractured nation that has seemed to turn its back on You, it is easy to get discouraged. Today Lord, we hold on to the hope that we find in Your Word: “Surely his salvation is near those who fear him, that his glory may dwell in our land” (Ps. 85:9). May Your glory, and Your Presence dwell in our land! Revive Your people Lord! Father, in the midst of increasing divisiveness and strife among a people who should love one another, we desperately need Your peace. Your Word tells us, “Let me hear what God the LORD will speak, for he will speak peace to his people, to his saints; but let them not turn back to folly” (Ps. 85:8). Would You help us hear Your voice as You speak peace to us in the midst of turmoil? “I will stand at my watch and station myself on the ramparts; I will look to see what he will say to me, and what answer I am give to this complaint” (Hab. 2:1). 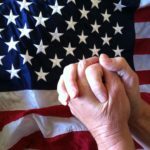 Lord, would You raise up more watchmen (and watchwomen) of prayer over this nation? We desperately need those who will keep watch in prayer, paying attention most of all to You and what You are desiring for us. And, in the midst of this contentious season, we need the assurance of Your watch care over us. In the powerful Name above all names, we ask this! 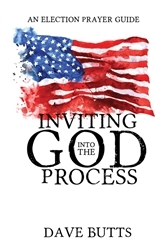 –Prayers compiled by David Butts, author of Inviting God into the Process: An Election Prayer Guide. This booklet is available at prayershop.org. Use the code CONPSP3 at checkout to receive an additional 10% discount.